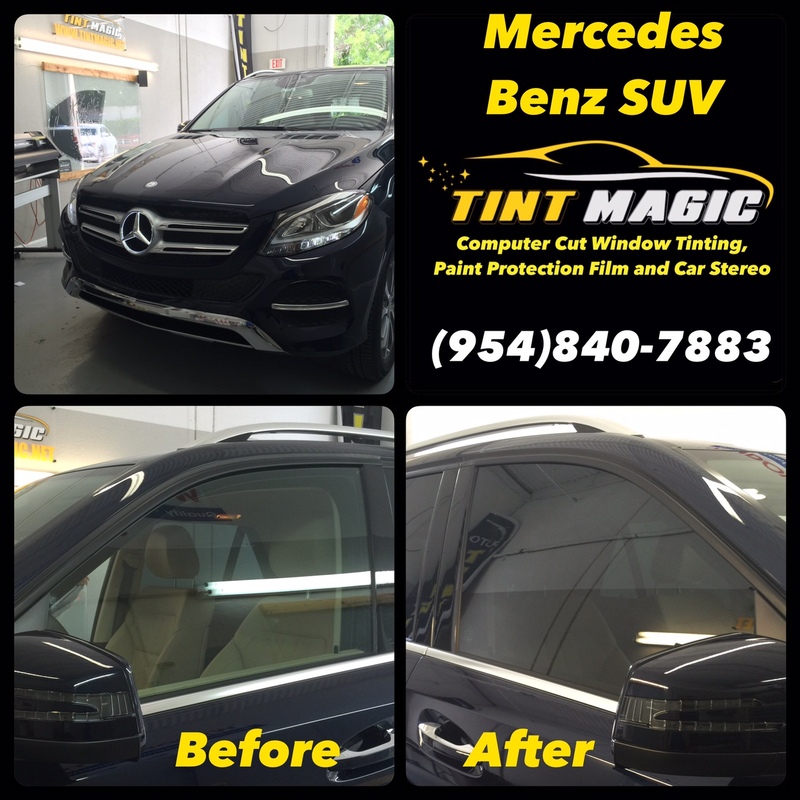 Mercedes Benz GLE 350 at Tint Magic Window Tint. Call us for a free estimate! (954)840-7883. Find us: 11344 Wiles Road, Coral Springs, Fl 33076. Most utility vehicles will be labeled with GL plus the letter of the Mercedes sedan that’s closest in size—thus GLE, for the vehicle that’s been known as the M-Class or ML. The BlueTec label is replaced for diesels with a “d,” while Hybrid models get an “h”—and plug-in hybrids, an “e.” All of those letters come into play with the new GLE-Class, which comes not just in both body styles, but with a range of powertrains that stretches from a turbodiesel inline-4, a plug-in hybrid, a twin-turbo V-6, and a storming turbocharged V-8 AMG edition.